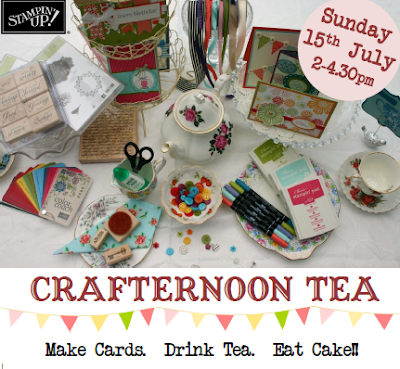 hello stamper: Crafternoon Tea coming soon! My first ever card class is on Sunday 15th July! It will be held at Cafe Village in Calverley, Leeds. The class combines my two favourite pastimes - making cards and drinking tea - in an afternoon of crafts and cake! I hope this appeals to other people in and around Calverley too. You can see more details on my classes page, but please do get in touch if you want to come along because you'll need to book your place in advance and places are limited. Looking forward to seeing you there! !